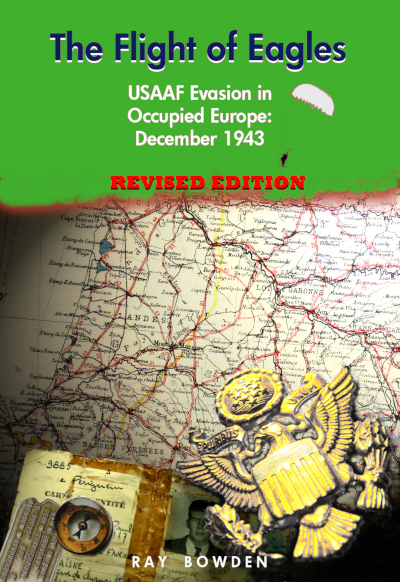 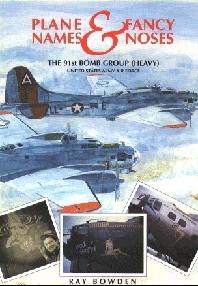 Purists might say that the work of George McCraw should not appear on this web site because the aircraft he worked on went largely to the US Navy and British air forces rather than to the USAAF. 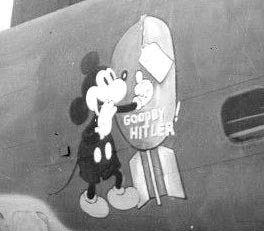 Furthermore, the majority of his handiwork was not even applied to the airplane nose but to the fuselage. 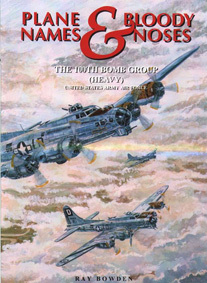 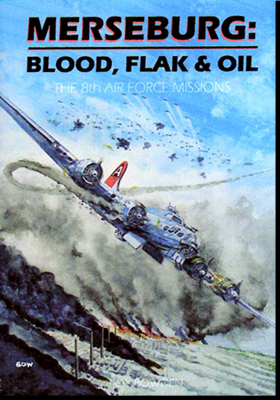 However, McCraw also embellished several Vega-built B17s which were assigned to the Air Corps so such a prolific and talented artist who produced more than 100 artworks cannot be ignored. 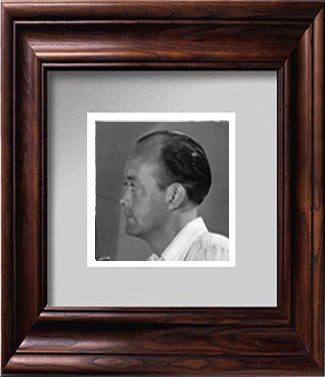 “Randy” McCraw worked at the Lockheed Vega plant at Burbank on the production lines for the Ventura (known as the Hudson by the British). 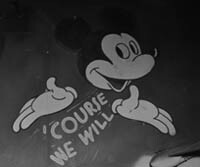 He was a spray painter and applied the US star emblem on the fuselage but later also became responsible for painting the British roundel insignia used for aircraft destined for the RAF, RNZAF, RAAF and the RCAF. 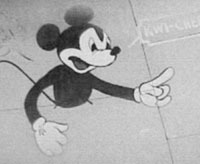 His first rendering is believed to have been of an angry Japanese face painted into the centre of the white star before he over painted it with the red circle used in the early US insignia. 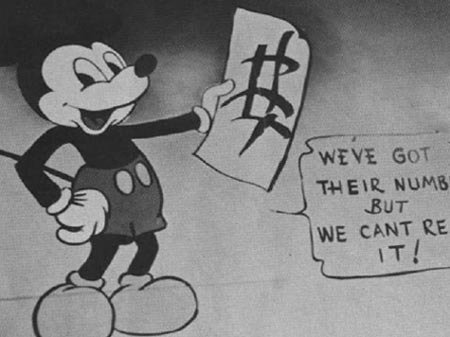 During lunch breaks, after encouragement from his supervisor, he began adding more cartoons and slogans to the side of the Venturas to the amusement of other workers. 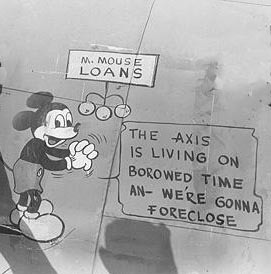 After being asked to paint a larger more elaborate image on one aircraft for a special occasion the idea took off and he began adding his cartoons to many more as the near-completed aircraft rolled along the line. 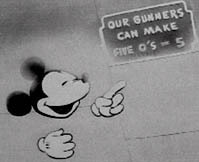 So popular did they become that suggestion boxes soon began to accumulate dozens of slogans every day from workers for McCraw to interpret and he often credited his design to the man or woman who came up with the idea. 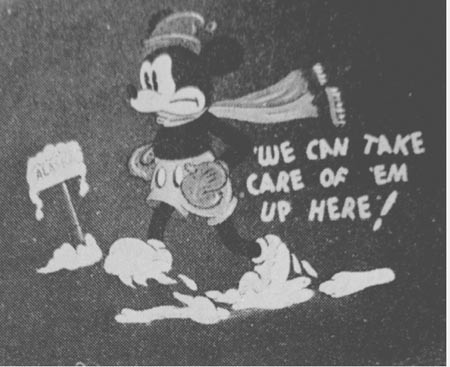 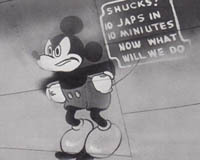 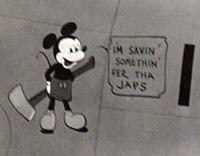 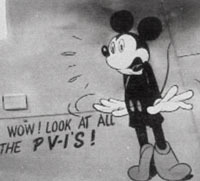 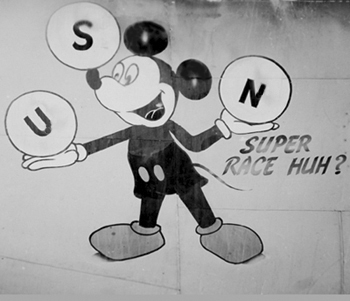 With the Disney Studios located nearby, McCraw favoured the use of their much loved cartoons such as Donald Duck, Pluto and Mickey Mouse for the PV-1 Venturas. 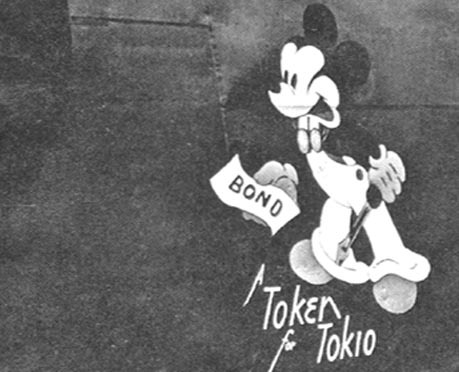 However, there were also images featuring Hitler and Tojo as well as other graphics. 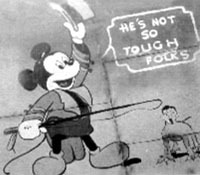 Many of these cartoons were washed off later but some did make it into the combat zone and can be seen in photos taken on the Aleutians, Guadalcanal and other Pacific locations. 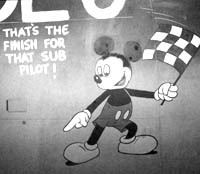 Canadians in the RCAF seemed particularly attracted to the cartoons and took care to maintain them. 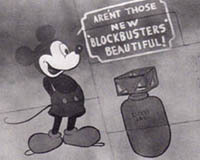 “Strato Sam” and the “Vega Kid” were characters created to represent Vega plant workers. 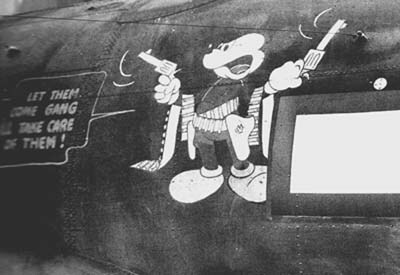 “Strato Sam” complete with his tool box was applied to some of the Vega-built B17 Fortresses and several examples of this little character made it into the 8th Air Force flying out of Britain, as did at least one Disney cartoon. 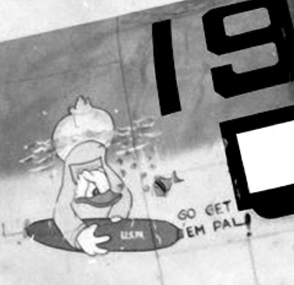 The “Vega Kid” (a cartoon Naval Ensign) was used on aircraft to be assigned to the US Navy. 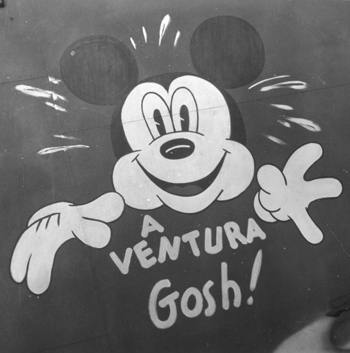 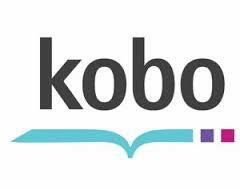 If anyone can provide a photo of this image applied to an aircraft I would be delighted to see it.